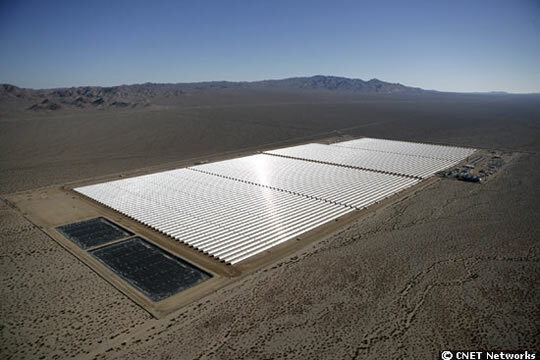 In undergrad I had a professor that thought that all of Nevada should be covered with photo-voltaic panels. Well, this 64 megawatt solar powerplant in Nevada doesn't use photo-voltaics but it will harness enough solar energy to power 15,000 homes. The project called Nevada Solar One uses parabolic mirrors aimed at a tube full of oil which heats the oil to make steam, which turns a turbine.